Fitzgibbon McGinley Architects are an RIAI accredited Conservation Grade III Practice and have considerable experience in this area. All of our Conservation projects are protected structures, many of which entail complex planning issues involving close consultation with planning authorities. Our Service in this area ranges from advice, feasibility studies, Conservation reports for planning purposes where the proposed works involve protected structures, to a full service including design, tender packages and site supervision. Here is a selection of Conservation projects we are involved in…….. 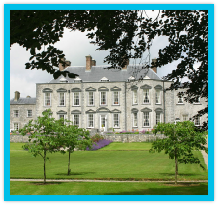 Significant refurbishment and alteration works have been carried out to this Protected Structure including making the property wheelchair accessible, the restoration of all the original windows, removal of part of the original convent wall and new ASD classroom facilities. 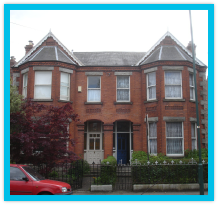 This project is for the refurbishment of the entire premises and for a change of use of the Ground and First Floors of the property to commercial use. The house is listed in the Record of Protected Structures in the current Dublin City Council Development Plan, with a significant national rating. 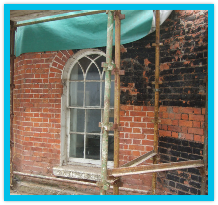 It is considered to be one of the most originally intact protected structures on Mountjoy Square, and is being restored in close conjunction with the Conservation Department of Dublin City Council. We were employed as Project Architects for the extension and refurbishment of this period dwelling; the works consisted of the demolition of an existing single storey section & outhouses to the rear, construction of a new single storey extension and renovations to the existing dwelling together with site works. 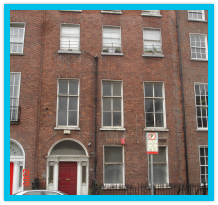 This project involved the fit-out and external works; the property is a significant Protected Structure and is within the O’Connell Street Architectural Conservation Area.